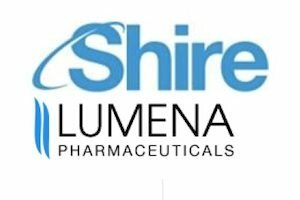 San Diego’s Lumena Pharmaceuticals, which was on the road to raising $75 million in an IPO, has instead agreed to a $260 million-plus buyout offer from Shire (NASDAQ: SHPG), the Irish pharmaceutical giant. Since it was founded three years ago, Lumena has worked to develop new oral drugs for rare liver diseases that stem from certain metabolic disorders that result in a build-up of bile acid in the liver. Bile acids facilitate the absorption of dietary cholesterol, fat, and fat-soluble vitamins. Lumena has focused on bile acids that act as signaling molecules in regulating metabolic processes. There are no approved therapies in the U.S. for these so-called cholestatic liver diseases, with symptoms that typically include fatigue and severe itching that cannot be relieved. Over time, these diseases can lead to liver failure. Pappas Ventures, based in Durham, NC, led the formation of Lumena in 2011 with the licensing of its lead drug candidate, LUM001, from Pfizer, which had shelved the compound after conducting extensive clinical trials as a potential cholesterol-lowering drug. From the beginning, Lumena has worked closely with patient advocacy groups and with scientists who have been highly committed to cholestatic liver diseases, Lumena CEO Mike Grey said in a phone interview this morning. For example, Lumena co-founder and vice-president of pharmacology, Slava Gedluin, had ideas about bile acids while working at San Diego’s Amylin Pharmaceuticals, where she identified a potentially key signaling channel called the apical sodium-dependent bile acid transporter. Lumena’s chairman John McKearn, who invested in Lumena as a managing director at St. Louis, MO-based RiverVest Venture Partners, also was familiar with the field from the years he had spent as a scientist at Searle and Pharmacia.